Easel.ly is a design software that enables users to create infographics easily. It features access to images, icons, charts, and illustrations, as well as professionally-designed templates. In this article, we cover user reviews and pricing. Ready to get started with Easel.ly? Sign up for a free account. Users who gave Easel.ly a positive review like that the platform is easy to use, even for non-designers. Others appreciate its responsive customer support team and its reasonable rates. As of the date this article was written (11/28/18), there are very few up-to-date negative Easel.ly reviews of online. However, a couple of users commented that they experienced issues with their refund requests. One user who gave Easel.ly a negative review on Facebook complained about experiencing difficulties in claiming his refund. He added that the support team has been switching his account from PRO to Free and vice versa but has yet to process the refund. Easel.ly offers two plans — Free and Pro. The Free account is free forever but has limited features, and the Pro account costs $4 dollars a month (billed annually). The main differences between the plans are the numbers of premium templates, images, fonts, illustrations, and charts per month, as well as the quality of exports, and more. Ready to get started with Easel.ly? Sign up for a free account. Yes. Users may be given a refund if they cancel within the first seven days of having subscribed to the Pro plan. Is there an upload size limit on Easel.ly? No, there is no upload size limit on Easel.ly. 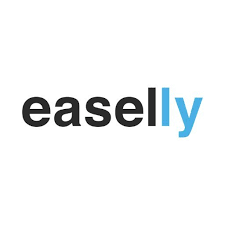 Not sure if Easel.ly is the right fit for you? Read our reviews of all top design software providers. The company creates great infographics! They created a fabulous infographic for me and their customer service was super accommodating to my feedback on changes needed. Easel.ly is constantly working to expand on the different options users have. I’ve tried multiple different platforms to create infographics that cost much more and did much less. What makes Easel.ly a favorite of mine is the ease of use. Most programs have a steep learning curve but it didn’t take any time for me to learn to use Easel.ly. I have dealt with customer service and even purchased an infographic and never had a bad experience. I just wish I would have known about Easel.ly sooner. Easel.ly has created a solid platform for non-designers (and in my case, someone with little artistic ability) to quickly create artwork and infographics to pair with written content. Other products may be easier to use or have more/better templates, but Easel.ly delivers incredible value for individuals who really only need to make a few images each year. Easel.ly could definitely be improved with better output options. It would have been nice to know if artwork could be downloaded in vector or other formats.